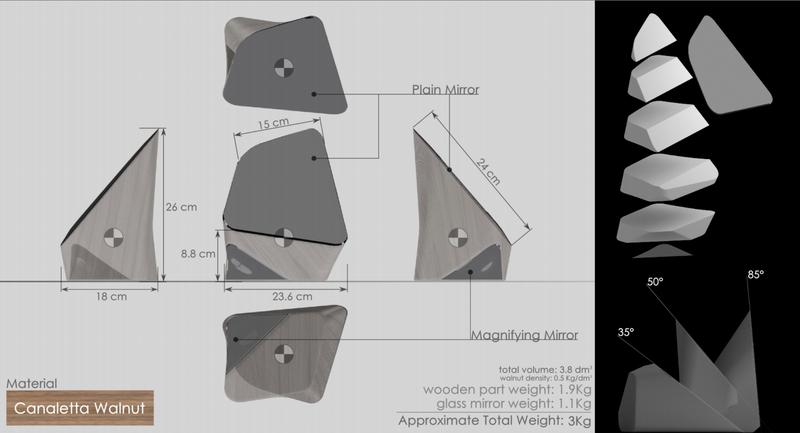 Gemma is a table mirror shaped like a gem, in order to reveal the elegant lines and patterns of the solid wood (legno massello), cut in wide diagonal planes slightly concave, that give to these wooden patterns a dynamic and geometric fashination, letting visible the inner soul of the wood itself. The design is inspired by the faceted nature of the gems and the crystals, which reflect and diffuse the light at the same time. So two faces of the object reflect completely, creating the actual mirror surfaces. The mirrors edges are shaped as the wooden faces they stay on and glued to the face in order to avoid any recognisable border/bazel in between the wood and the mirror. 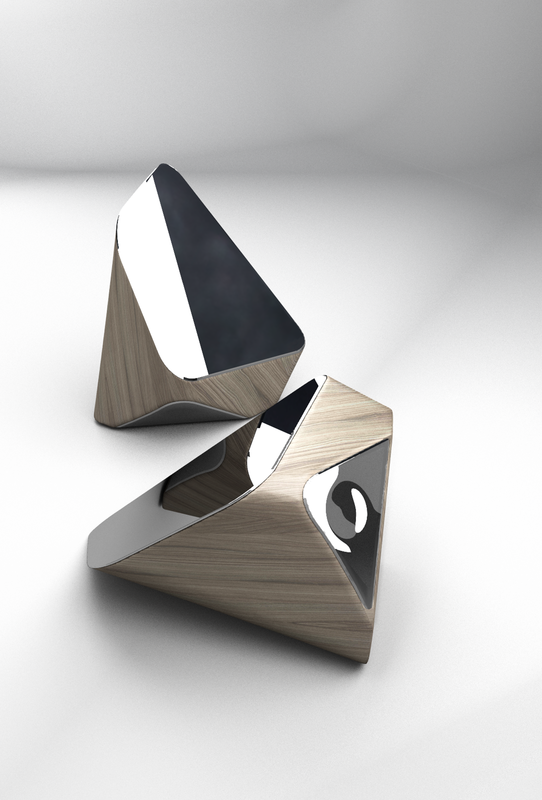 The gem ­mirror shape is not random but is carefully designed to be placed in three different position, balancing the weight of the object while giving access to the most commonly used mirror positions, without any joinery or mechanism. 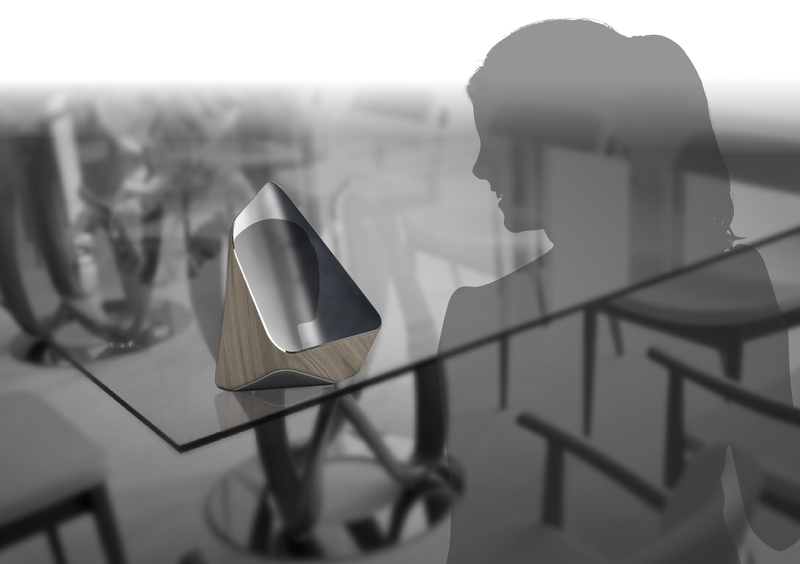 The solid shape design determines the functions usefulness. In fact, there are three main positions allowed, depending on the base­face chosen: ­ 50° of inclination, for a typical use on table­top, for makeup purposes. ­ 85° of inclination, almost vertical mirror, to be used on high tables or shelves. ­ 35° of inclination, to be used for example lying on the bed or on the carpet. 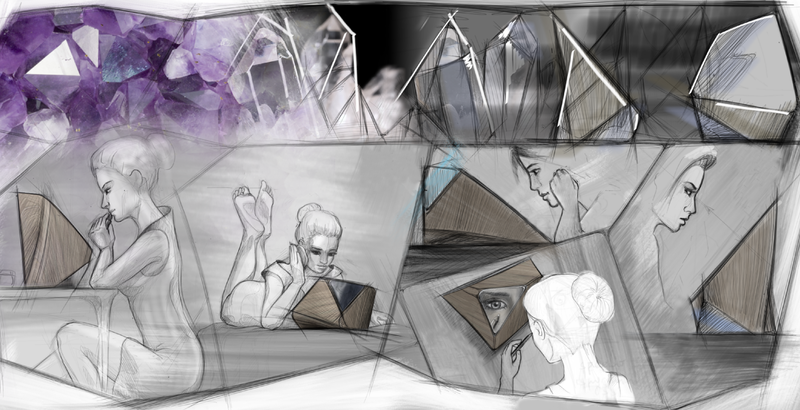 The second reflective face of Gemma is a curved magnifying mirror that can be used for a detailed makeup session, but that also creates a very peculiar optical effect on the gem shaped object, suggesting that the surface is fluid, and so the object itself is a metal­wooden fluid almost completely crystallized. 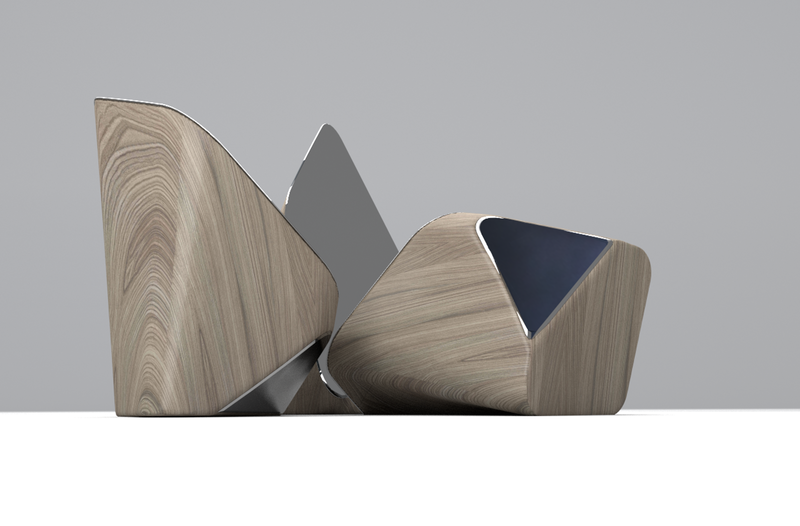 The materials will be: Canaletta Walnut and a Glass­Mirror Reflective Surface. The overall dimensions of Gemma are: ­ 18 x 26 x 23.6 cm ­ the main mirror surface is 24 x 15 cm The estimated weight is about: 3Kg (3.8dm^3 of Canaletta Walnut wood plus the mirror) The minimal, functional design of the object leads to an elegant table mirror that looks like an iconic piece of art, a gem, sculpted by the wood soul itself.